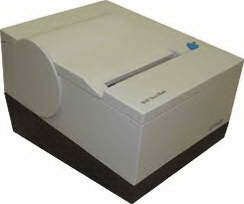 We will pay CASH for your old and non-working IBM Receipt Printers!!! We REPAIR IBM receipt printers - Call us TODAY for more info - 800-457-8499 or 440-953-1119!!! Single-station models of the family of IBM SureMark™ Printers are specifically engineered to deliver exceptional reliability and fast, quiet, high-quality thermal printing—even in harsh retail environments. Questions about the IBM 4610-TM6? We can help. For more information about the IBM 4610-TM6, or any of our products and services, call us at 1.800.457.8499 or email us. Order your IBM 4610-TM6 today. Order your IBM 4610-TM6 now. Your purchase order, with credit approval, is welcome, as well as all major credit cards, PayPal and Google Checkout. Remember, you'll get FREE technical service with every product you buy from Vecmar.